Apologies, this event is sold out. Please join the Columbia University Club Foundation Trustees and members of the United Nations Association of New York, the Penn Club of New York, and the Columbia University Club of New York for a presentation by Ambassador Christoph Heusgen, Permanent Representative of the Federal Republic of Germany to the United Nations. Ambassador Heusgen, Germany’s Permanent Representative to the United Nations since July 2017, comes to New York with vast experience as a career diplomat and after more than a decade as Foreign Policy and Security Advisor to Chancellor Angela Merkel. 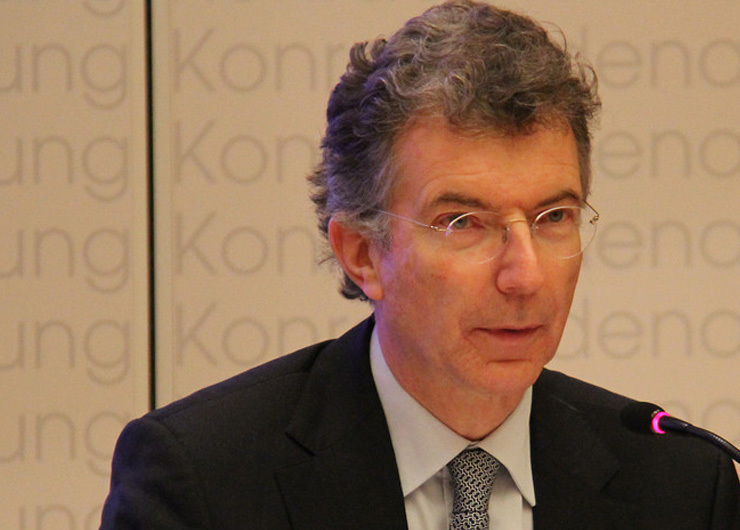 Working at the Chancellor’s side since she assumed office in 2005, Heusgen has helped to shepherd German policy through a wide range of global security and economic issues. DISCLAIMER: All ticket sales for events are final. Please remember that your purchase represents your commitment to attend an event. There will be NO refunds issued.